The making of Overtone, Calgary, AB, Feb. 1, 2014. 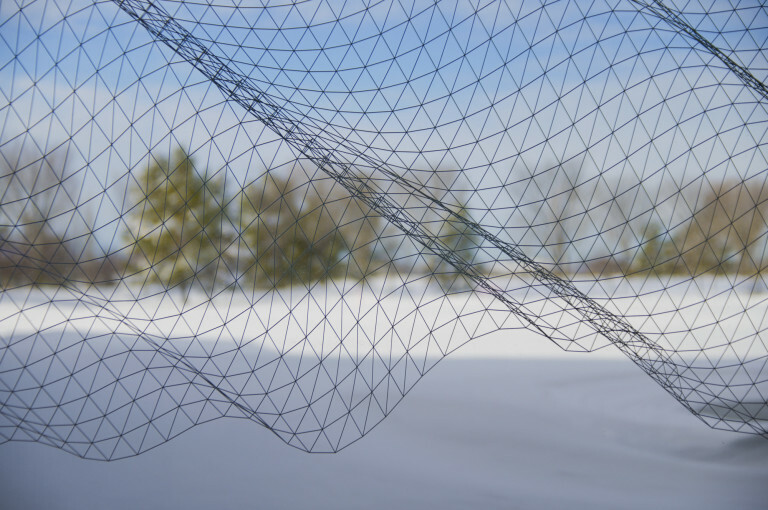 Computer modelling technology is now an essential part of many artists’ practices. 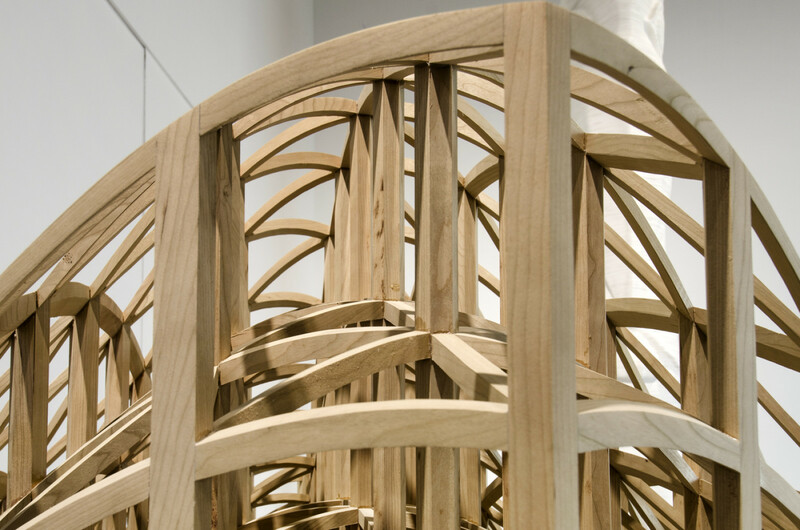 Overtone, an elaborate and highly technical wood sculpture, is the result of using computer-aided design to compliment the ancient craft of woodworking. Although wood can be cut via CNC milling technology, the compound curves found on Overtone would have proved very tedious if not impossible to mill. The sculpture is exemplar of the synergistic relationship of computer conceptualisation and handcraft. It’s a three-dimensional lattice reminiscent of Sol Lewitt’s modular structures from the 60’s and Buckminster Fuller’s geodesic systems. 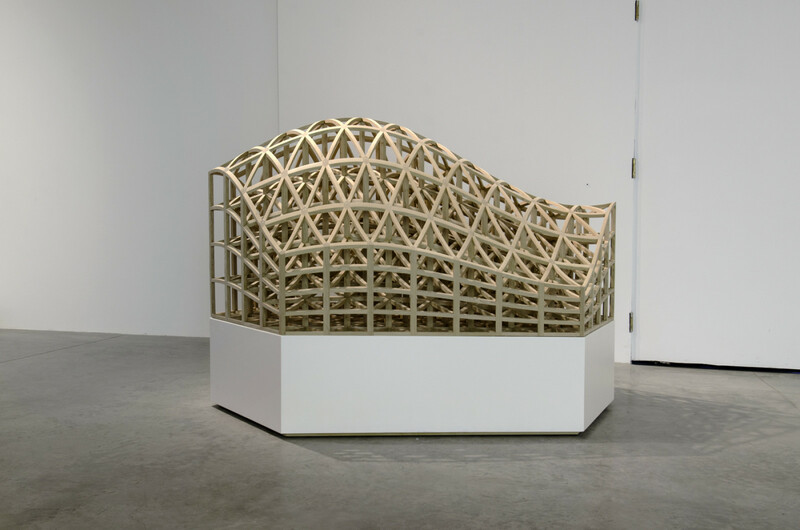 However, unlike the rigide geometry of a Lewitt and Fuller, the lattice is subjected to a sine wave algorithm, animating the shape and rendering it more fluid, resulting in a three-dimensional sine wave, built from complex truss-work. The sculpture is hand carved out of Cherry Hardwood. Cherry is known for its rose colour, consistent tight grain and for being dimensionally stable–the cabinet maker’s favourite. 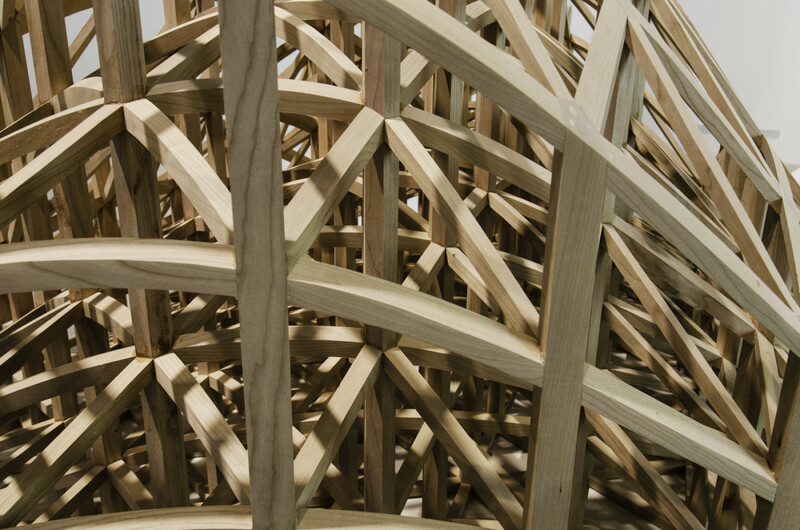 Each piece of the sculpture’s lattice is carefully hand shaped and dowel-jointed together. 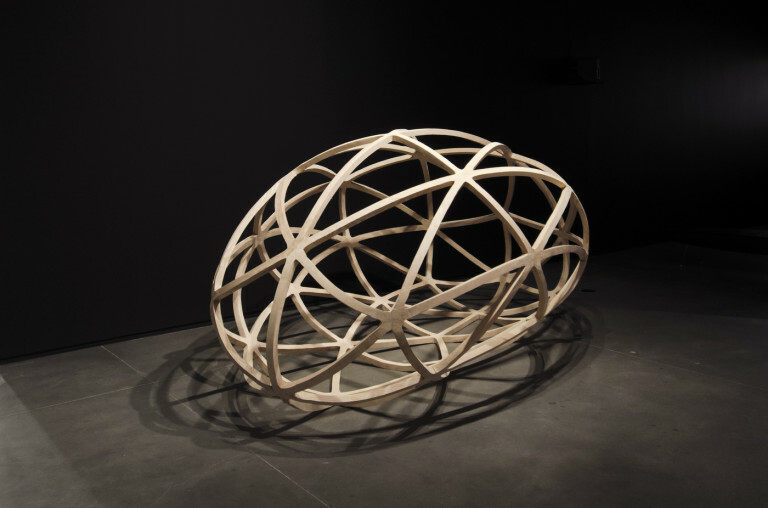 With the exception of the bottom layer of the sculpture, every piece is completely unique, maintaining the intimacy of a hand-made object, yet with the precision and complexity of a computer-generated form. The sculpture’s form is abstract, reminiscent of an upturned ship or a whale skeleton. It opens itself up to interpretation while maintaining the distant regal of a minimalist sculpture from the sixties. 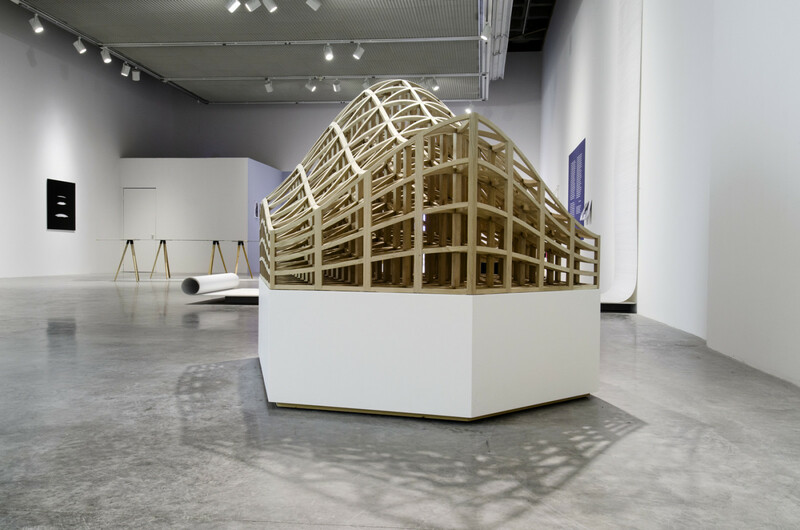 But unlike the posturing of industrially made object like a Donald Judd, a Sol Lewitt or a Robert Morris, Overtone unfolds the story of its own making first hand.